James "Jim" F. Conder, Sr., also known as "Mr. C" by his many friends, was called home to be with the Lord on Sunday, July 29, 2018. Jim was born on May 25, 1944 in Breckinridge County, Kentucky to the late James Harold Conder and Loreen (Milburn) Conder. He was a man of many talents and skills. With only an 8th grade education, he was determined to create a better life for himself and his family. Over the years he founded many business ventures including JF Conder Builder Construction Company, Heartland Equestrian Center and JF Conder Saw Mill & Lumber Company. He was preceded in death by his sister, Anna Catherine Clark. 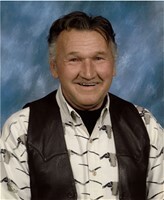 He is survived by his three children, James (Teresa) Conder, Dewayne (Mary) Conder, and Sandra (Beau) Rogers; his six grandchildren, Brooke Conder, Bridgett Conder, Kristin Conder, Clayton Conder, Gabe Rogers, and Brett Rogers; two great grandchildren, Zayn and Alayna; his five siblings, Eloise Westler, Linda Thurman, Charles Conder, Carolyn Knapp, and Dennis Conder; and a host of family and friends. His memorial service will be held at Valley Creek Baptist Church, 4685 Springfield Rd., Elizabethtown, KY on Saturday, August 4, 2018 at 12 p.m. Celebration of Life party afterwards, cowboy hats optional. Condolences may be expressed online at www.brownfuneral.com.